A new DOJ study shows there's been "a nearly unprecedented" rise in homicides among cities with "large African-American populations." As the US comes to terms with the Orlando massacre, the Justice Department has revealed "a nearly unprecedented" spike in homicides. Yet, the worrisome surge was not due to mass shootings, but a "Ferguson effect," the new DOJ study says. The paper, released three days after the shooting in Florida, documents a nearly 17 percent rise in homicides across the nation’s 56 large cities in just one year. It appears that of the sampled cities, 10 are directly responsible for the homicides spike, accounting for 66.7 percent of the total increase. 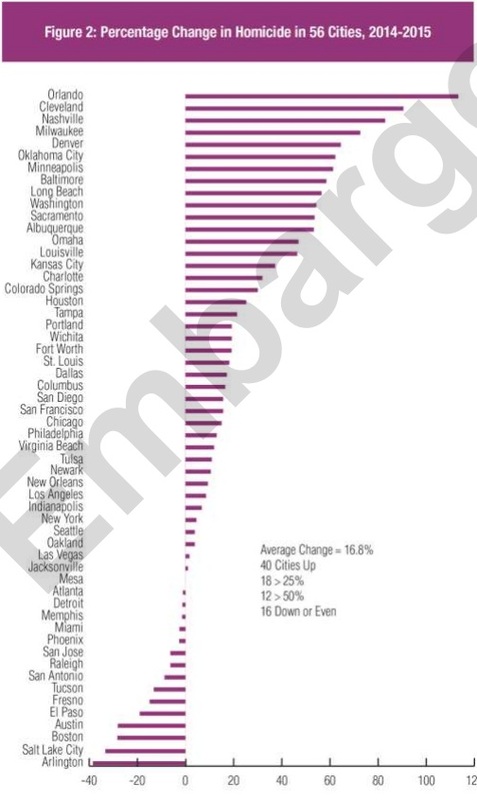 The top 10 cities are Baltimore, Chicago, Houston, Milwaukee, Cleveland, Washington, Nashville, Philadelphia, Kansas City, and St. Louis. 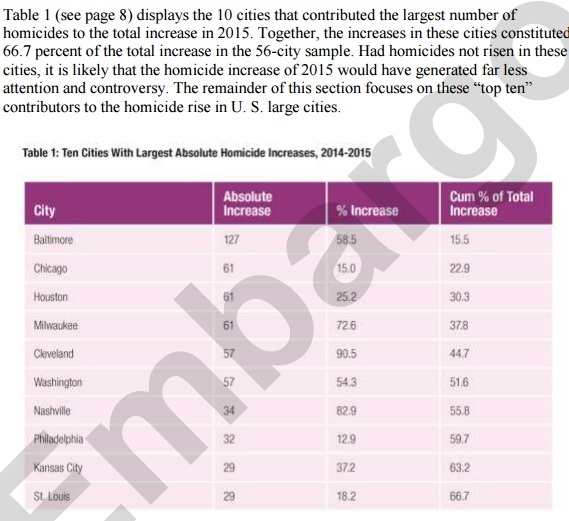 “Had homicides not risen in these cities, it is likely that the homicide increase of 2015 would have generated far less attention and controversy,” wrote Richard Rosenfeld, the author of the study and a criminologist at the University of Missouri-St. Louis. As the “United States is in the midst of a major drug epidemic,” the overdose death rate – mostly from opioids – more than doubled between 1999 and 2014. However, Rosenfeld could not tell for certain whether the growth in the urban drug market had directly contributed to the homicide surge in 2015. The same conclusion relates to declines in imprisonment, because there are “reasons for and against” the assumption that this was a major contributor. Rosenfeld’s third explanation, however, seems to correlate with the spike better than the first two. “The homicide increase occurred in the immediate aftermath of controversial police use-of-force incidents. The timing of the increase provides stronger support for the Ferguson effect explanation, in either of its versions, than for explanations attributing the homicide rise to expanding drug markets or declining imprisonment,” the study said. 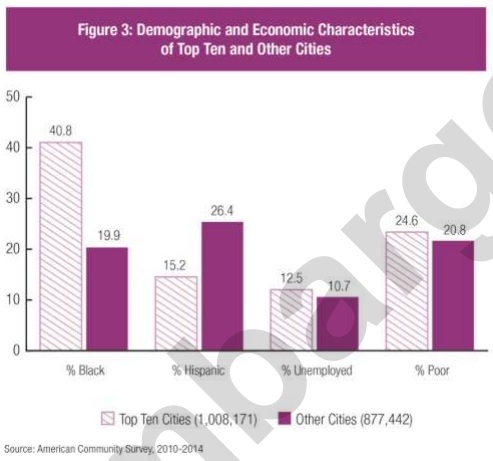 The “Ferguson effect” has been linked to the homicide increase in the top 10 cities, all of which have relatively large African-American populations. It is no coincidence that the name of the controversial trend – “Ferguson effect” – corresponds to the August 2014 death of an unarmed 18-year-old African-American man shot by a white police officer in Ferguson, Missouri. “There is ample evidence in support of the third expectation regarding African-Americans’ lack of confidence in the police,” Rosenfeld wrote. 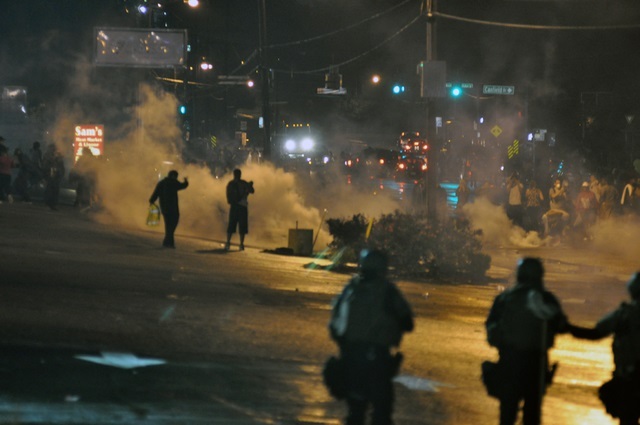 Police abuse and violence in black communities are two completely different issues. As police have backed off in these cities due to the rise of "Black Lives Matter" and the whole "police love to kill black people for fun narrative," homicides are skyrocketing.